Why fish are so important in japanese diet and culture? Japan is an island country surrounded by ocean, washed by some of the world’s most fertile currents. After Buddhism was introduced to Japan, eating meat was officially forbidden for some 1200 years. 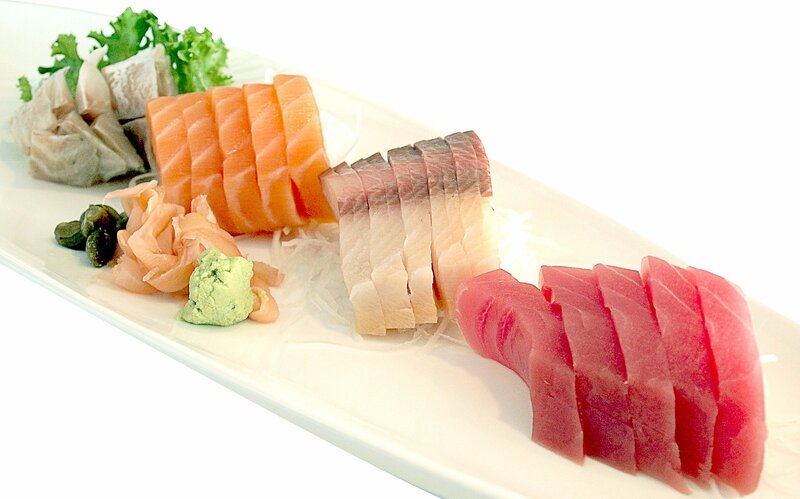 These are the two main reasons why seafood has played such an extremely important role in the Japanese diet and culture. Beside their importance as food, fish were often used to make offerings to the gods. 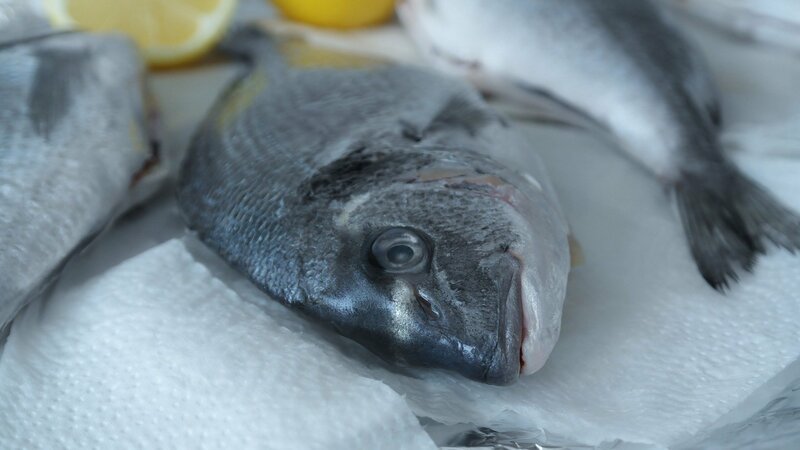 One fish that is commonly served on festive occasions and also as a sacred offering is sea bream. 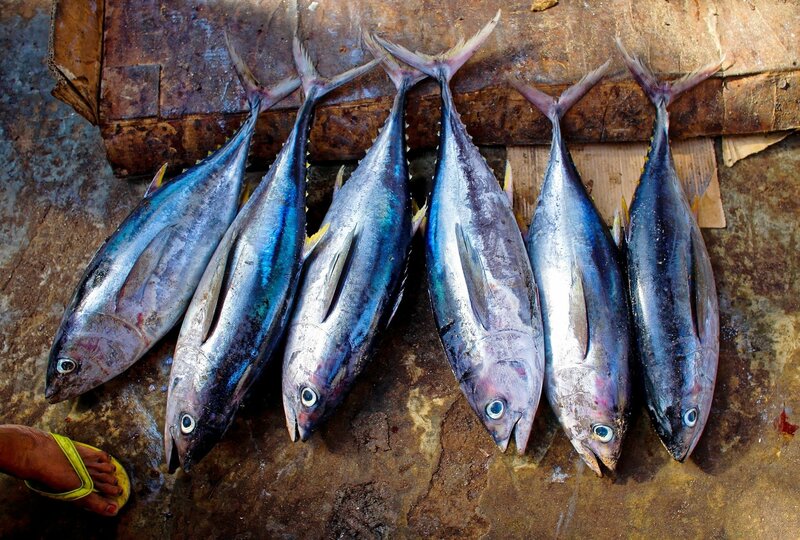 Other fish offer to the gods include bonito and tuna. Fish like rice was a food imbued with special significance for the Japanese. The Edo period began about 400 years ago. Over the next two and half centuries people began to eat more and more fish. When the first Tokugawa Shogun Ieyasu set up his government in Edo, fisherman from Osaka were brought to the new city. They were given special rights to catch seafood in the bay to supply the tables of the Shogun and his court. A major fish market grew up on the waterside in the Nihonbashi district. 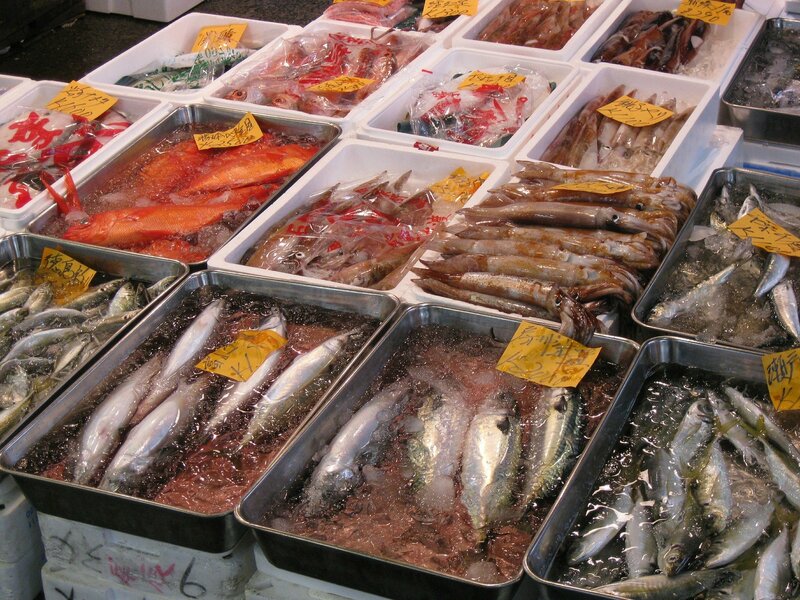 The fishermen also sold their catch at the Nihonbashi Market. 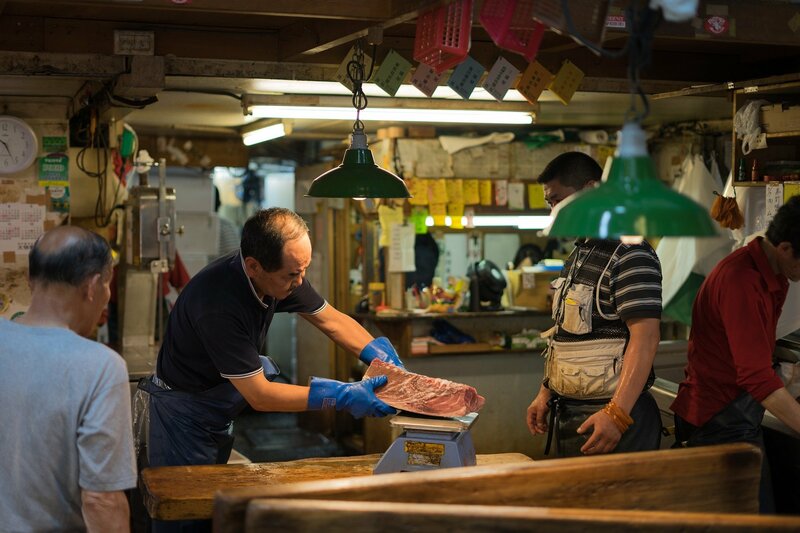 Merchants called ton’ya operated shops around the market and those with the special licenses from the Shogun’s government began to handle large quantities of fish from all around the country. Thanks to the market and its system of wholesalers a huge volume and variety of seafood became available, providing ordinary people with all the fresh fish they need. In Meiji era the ban against meat eating was formally lifted. For the first time in 1200 years Japanese people were free to eat meat but fish kept its main role in Japanese cuisine. Nihonbashi fish market was burned to the ground in 1923 when Tokyo was devastated by a massive earthquake. The new market had to be built and in 1935 it opened in the waterfront district of Tsukiji. That’s how famous Tsukiji market was created.